Want it by Friday 26th April? Order within 19 hours, 1 minute and choose Royal Mail 24 Hour Delivery at checkout. The perfect cosy mittens to keep your hands warm on the coldest of days! 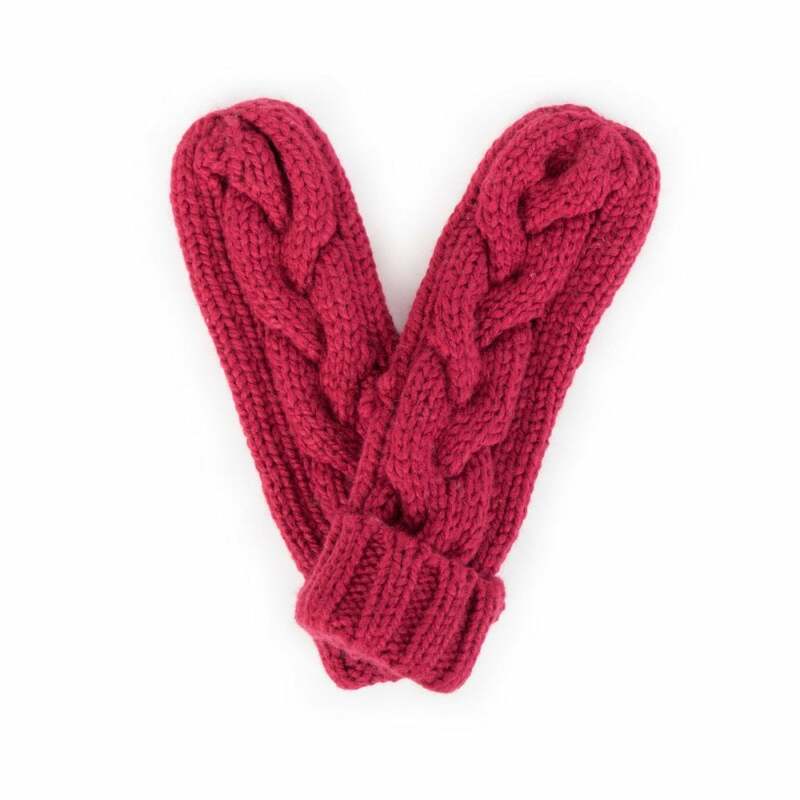 These gorgeous berry mittens are perfect to add a touch of colour to any outfit, featuring chunky cable knit detailing and ribbed cuff.